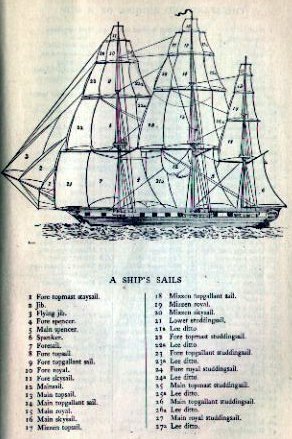 Diagrams on Rigging: Sails and Spars! This is not the brig Pilgrim. This appears in the 1911 Printing. It represents a Tall Full Rigged Ship sail plan!